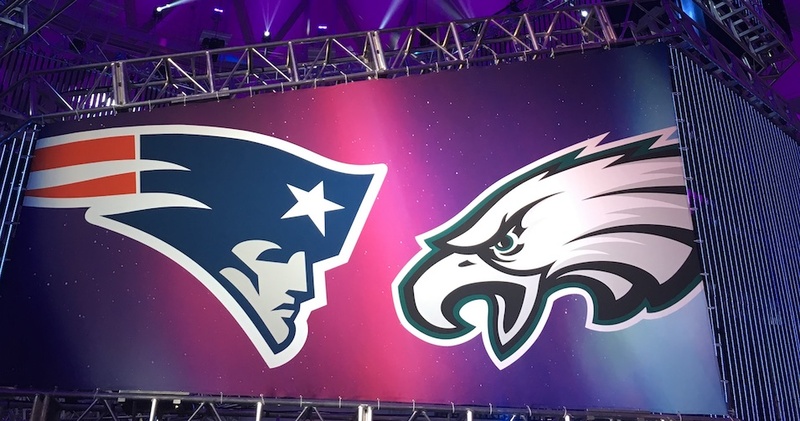 Having worked on experience design projects across industries – everything from healthcare to retail – we recognize the scale of effort and planning that goes into a high profile mega event like the Super Bowl. 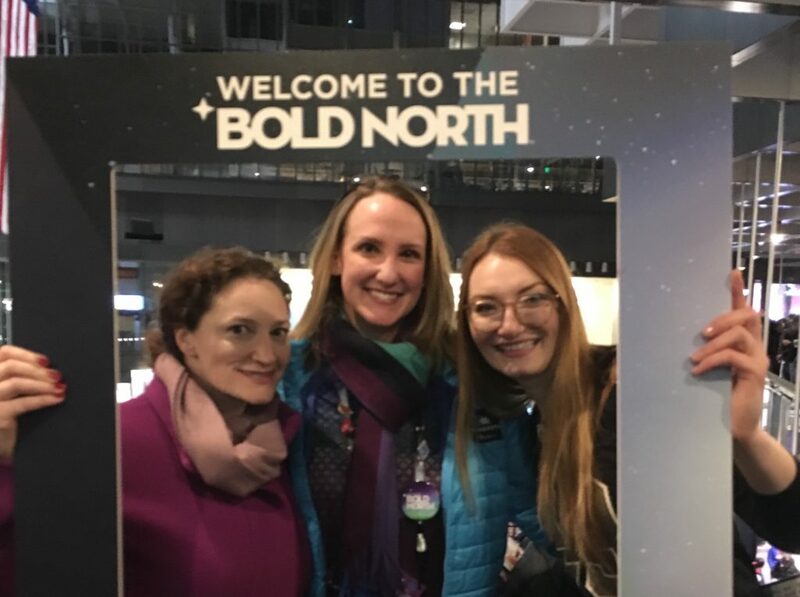 For those of us lucky enough to have been on the ground in Minnesota this past weekend, what happened between kickoff and the awarding of the Lombardi Trophy was only part of the experience designed for super fans leading up to and through game day. 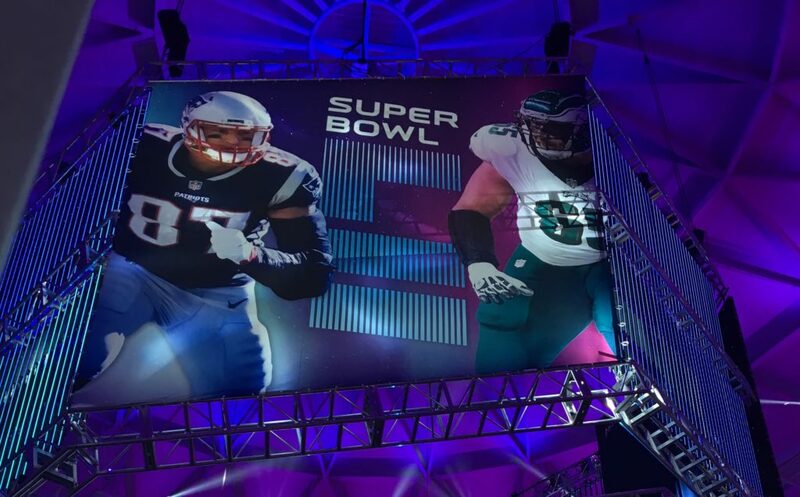 Here are just a few examples of how Super Bowl LII’s experience designers immersed fans into every aspect of the game— both on your screen and throughout the city of Minneapolis. Being the first Super Bowl hosted in the recently constructed (and thankfully heated) US Bank Stadium, the city of Minneapolis was as much a player as any on the field. Sure it was an average of 5 degrees on game day, but the city offered a level of warmth and sophistication to match the Prince and Viking’s inspired purple hues washing across the streets and event spaces. Purple hues flood the streets surrounding Super bowl LII, in celebration of the city of Minneapolis. Speaking of heated spaces, you could see the thoughtfulness of experience designers on display in the Minneapolis Skyway System – indoor tunnels that connected hotels, restaurants, event spaces, and the stadium itself. To help you through the Skyway, experience designers leveraged a highly personal form of wayfinding: Minnesotans. The Skyway was full of volunteers who (a) proved, yes, the “Minnesota nice” stereotype exists for a reason and (b) offered us directionally-challenged visitors help finding our way to the stadium. Keltonites with one of the local volunteers at Super Bowl LII. Rather than an overwhelming labyrinth of twists and turns, the Skyway served as a natural greeting to newcomers and a conduit to help superfans accomplish the job to be done: enjoying football. There are a lot of ways to enjoy football, but technology is increasingly essential to the experience. 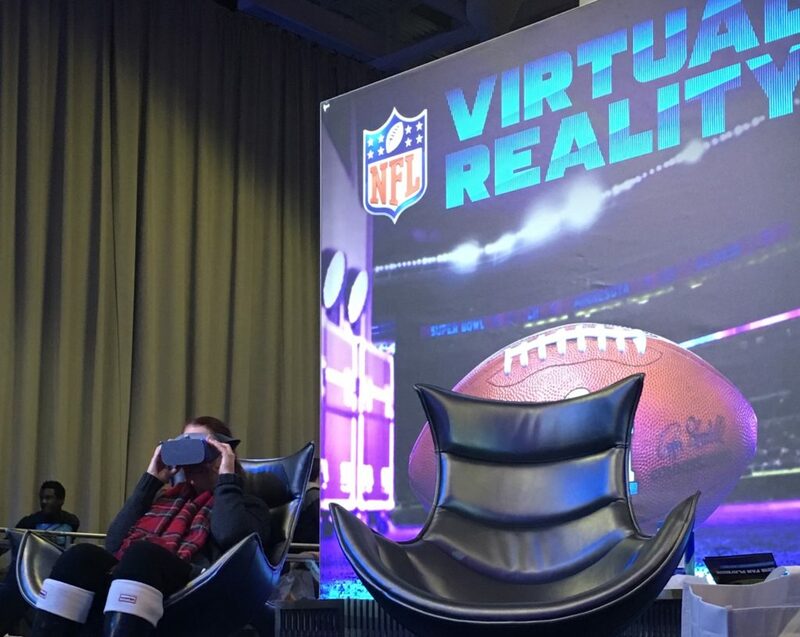 Virtual Reality was a major draw at the NFL Experience, held at the Minneapolis Convention Center in the week leading up to Super Bowl Sunday. For three-minutes, fans could put on a VR headset and drop onto the field to experience the action up close (without risk of injury). Experience design in action: A fan tries out a VR headset at Super Bowl LII. But it wasn’t just high-tech shenanigans, the NFL Experience was rich with opportunities for IRL interaction. Fans of all teams could elect to “wear the uniform,” pose for their draft picture, watch a football get made (insert joke about which team has the manliest sewing machine…), and be put through their paces on the field. This all served to get fans pumped up for the main event: Justin Timber-…*cough*…the game. 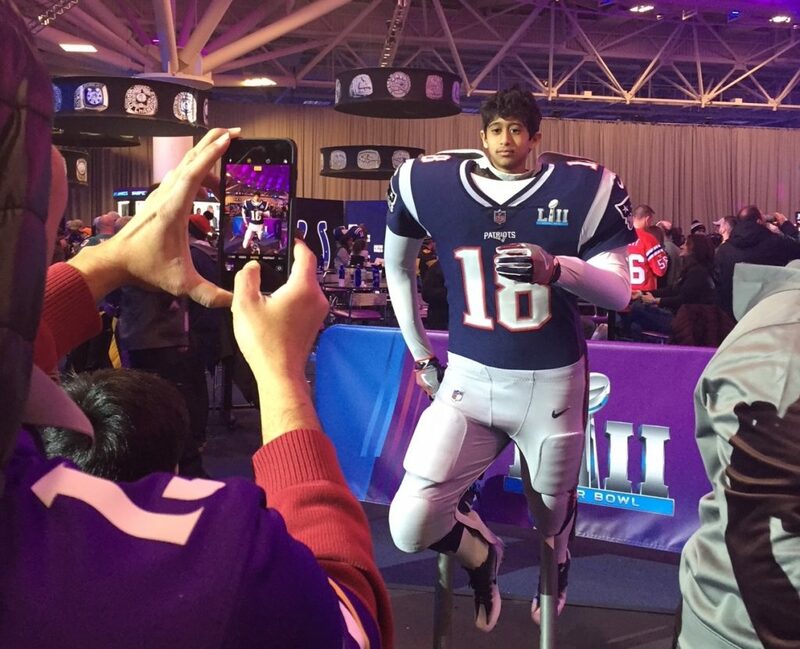 A young fan poses for a photo in one of Super Bowl LII’s immersive experiences. Welcome to game day! Inside the arena fans were treated to the pinnacle of spectacle, sport and entertainment. Budweiser gifted ticket holders with touchdown synced gameday cups that flashed dueling colors at pivotal moments during the game. Low-tech? Sure. But immersive? Definitely. This simple piece of swag made fan passion visible throughout the crowd of 70,000 (Bonus: They also held our game day drink of choice, important during a nail-biter…). 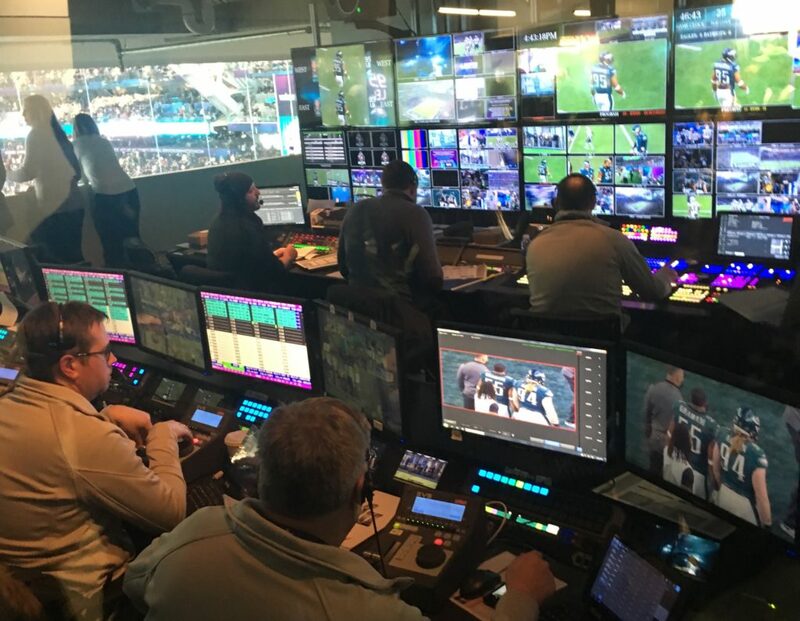 Broadcasters broke down the wall between the in-stadium and at-home experience, making the “behind the scenes” visible. This insider access gave us lucky ticket holders another unique perspective on game-day and reinforced that the game is as much about the players on the field as the fans in the bleachers. As a fan in the stadium, you had no doubt you were part of a huge, national cultural experience. Inside the newsroom at Super Bowl LII. It’s easy to take in an experience like the Super Bowl (or the Olympics…tune in this week!) without thinking about the nuances. And, in fact, that’s the mark of good experience design. Users shouldn’t sense how the magic happens. But as experience designers, we had our eyes open. You can’t help but marvel at the work, coordination and intentionality that goes into making an event as big as the Super Bowl happen. Getting a behind the scenes look gives you an appreciation for not only the game—but everything people do to support the NFL experience.